Our product range includes a wide range of belt conveyor, pvc belt conveyor, inclined belt conveyor and stainless steel belt conveyor. Belt Conveyor offered are well recognized for their precision engineering and construction standards. They have two or more pulleys which offer a continuous loop of material. 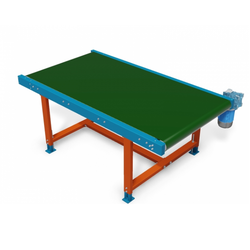 Here, we can deliver these belt conveyors in different sizes where the end finish depends upon the weight of material as well as distance up to which they need to be carried. We are offering PVC belt conveyor to our clients. 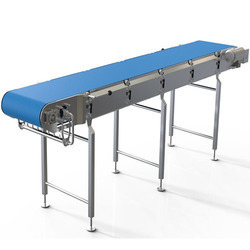 These conveyors are widely used for carton, bag and other products moving applications. 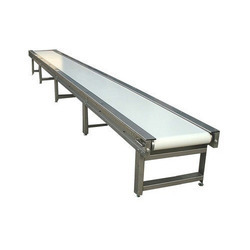 We offer these conveyors with standard/variable speed options, adjustable guide as optional feature adds the advantage of proper product guiding. Light duty slim constructed model consumes very less power and can be used for lightweight products like pouches and empty cartons. We are offering Inclined Belt Conveyor to our clients. 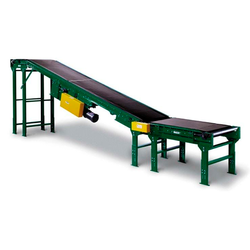 Looking for Belt Conveyor ?